What is Gubbing and how to avoid it? If you are matched betting regularly, you will more than likely be aware of the terms ‘gubbing’ and ‘gubbed’. Newcomers, or those less experienced, may not be aware of such terms, however, it is important you understand what gubbing is all about, and why you need to mug bet to avoid being gubbed by a bookmaker, especially if you want long term profits from matched betting. Let’s talk a bit more about being gubbed, and why it is something to avoid. If you are gubbed by a bookmaker, your account is restricted in some way. Not suspended, but limited in terms of what you can do. When your account has been limited or gubbed. You will normally be notified by email. It will say something along the lines of “…Your account has been reviewed and we regret to inform you that restrictions will be applied on any future bets…”. Bookmakers will not use the word ‘gubbing’ or ‘gubbed’ in any correspondence, both are slang terms exclusively used matched bettors , the email will explain that there have been certain limitations placed on your account. Once you have been gubbed you’ll find that one or more of the following things will have happened. You will not be able to place bets over a certain stake. Your max stake will have been limited. The odds being offered will be lower than elsewhere at other bookmakers. Promotions and free bets will not be available to you. To know which restrictions apply to you will need to refer to the email from the bookie. Interestingly when you log in you will still see all the promotions the bookie is running online, you will still receive promotional emails, push messages, texts and even phone calls despite the fact they are not applicable to you. This can be very frustrating. There have been reports of sports book promotions being limited from an account but casino and bingo promotions/bonuses still working so it is worth testing the water or asking other matched bettors on the Profit Accumulator forum to see what their experience has been. Of course, you can contact the bookmakers support to ask what has been limited if the email isn’t clear enough but it best practice to only contact support when you really have to when matched betting. Clearly, you don’t want to be gubbed because the amount of promotions available to you reduces, therefore, it goes without saying the potential for earning with that bookmaker reduces dramatically. To avoid being gubbed it literally pays to know what kind of account activity the bookies are looking for in order to detect people matched betting. There are a few core reasons why a bookmaker may choose to restrict your account, so let’s have a look at them. Bookies know more people than ever are matched betting and they don’t like it. They look for trends in behavior to identify those who are. Betting only when there is a promotion involved is the main trait of a (greedy/uneducated) matched bettor and is the main reason gubbing happen. Because matched betting is only profitable when there is a promotion involved many armatures will only log in and place bets when there is a nice juicy offer available. Ten promotions down the line having placed no bets on events that have no associated promotion you will find yourself grubbed. Betting solely on promotions is known as taking value and is a sure as hell way to bring attention to your account. It’s not hard to fly under the radar once you know how to mug bet. Mug betting is the only way to look like a mug punter (regular Joe Blogs who enjoys gambling) without risking your hard earned cash. The ideal situation for a matched bettor is you only place bets on promotions but we live in the real world where it’s just not possible to do that and keep your bookie account healthy. Some people go bonus bashing and end up gubbed quickly, they simply follow the promotions wherever they lead; Wimbledon, Premiere League, Olympics, Cricket World Cup etc. The reality is though that a mug punter will tend to stick to what they think they know and have the odd flutter on a large event. If all you do if follow promotions you heading for a gubbing. Mug punters bet on the same football or rugby team most weeks, even if the team is unlikely to win, that’s just what dedicated fans do. So if you don’t look like you’re supporting a team and are going after every promotion on every sport then it can bring attention to your account. 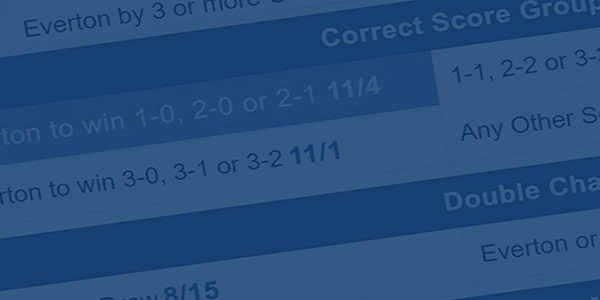 Use mug bets to support a team without risking your cash. The stakes you use for promotions vs the stakes you use for mug bets can be a sign of a matched bettor too, once suspicion is raised over the stakes you use you can be gubbed. What to do regarding your stake amounts is covered in my mug betting guide. This is a computer program that downloads onto your computer automatically when you visit certain bookies, you don’t even need to be signed in for it to download! It is used by Coral and possibly others. It logs what you’re doing with your computer and will feed back information to Coral via IE Snare’s servers. It will log if you’re registered with other bookies and if you use a betting exchange. It’s not good and you don’t want it for reason that stretch beyond being gubbed. See this blog post for how to check if you have the software on your computer and how to disable it. So, now we know what gubbing is and what can cause it. The only way to avoid being gubbed is to place mug bets. Mug betting is a whole topic in itself that you should know as much as possible about. It has been covered extensively in the learn and earn section of this website. The quick and short version is place at least 3 mug bets for every promotion you do, use similar stakes for your mug bets as your promotional bets and place bets on a team that you support, even if you have to choose a random team because you don’t really follow sport. Much more detail on mug betting in this post. Not all bookmakers will remove restrictions but some will. Bet365, William Hill, Ladbrokes, Betfred and 888 Sport have been known to lift restrictions. For this to happen you need to prove that you are willing to place bets with them that do not involve a promotion. Ideally, you will ‘lose’ more bets (into your exchange) than you win so you become profitable for them. Simply carry on mug betting with whichever bookie is that you want to ‘improve relations’ with. After you have placed 50 to 100 or so mug bets over a few weeks/months you should contact support asking politely for the restriction to be lifted. You may not be successful, in which case you need to continue mug betting and then politely ask again. You can of course always ask experienced matched bettors about this topic on the profit accumulator forum. How to avoid being Gubbed. Not all bookmakers will remove restrictions but some will. Bet365, William Hill, Ladbrokes, Betfred and 888 Sport have been known to lift restrictions. For this to happen you need to prove that you are willing to place bets with them that do not involve a promotion. Ideally, you will ‘lose’ more bets (into your exchange) than you win so you become profitable for them. Simply carry on mug betting with whichever bookie is that you want to ‘improve relations’ with. After you have placed 50 to 100 or so mug bets over a few weeks/months you should contact support asking politely for the restriction to be lifted. You may not be successful, in which case you need to continue mug betting and then politely ask again. You can of course always ask experienced matched bettors about this topic on the profit accumulator forum.